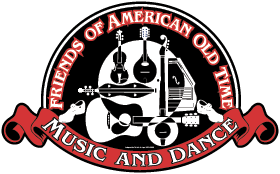 Thanks to Paul Bennett of FOAOTMAD, the UK organisation promoting American old-time music and dance, who sends good news for anyone who may be experiencing difficulty in reaching FOAOTMAD through the contact links on its news blog or website. The website is faulty and a new one is now in preparation. Meanwhile, any response to items on the FOAOTMAD blog or mail-outs can be e-mailed by this link.